Sides & Makoto, Hybrid Minds Feat. Riya, Dawn Wall, June Miller Ft. Hannah Lux, Kove Feat. Moko and more. This show was 1st in the global drum & bass chart, 1st in the global drum and bass chart, 1st in the global liquid drum and bass chart, 1st in the global jungle chart and 2nd in the global bass chart. The Risky showcases the latest in Drum & Bass. New tracks from Kove, Hybrid Minds, June Miller, A Sides & Makoto and more. 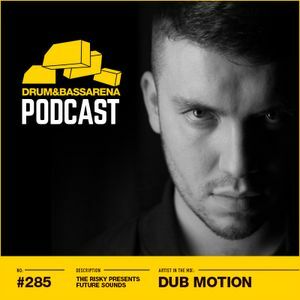 Plus in the mix this week is Dub Motion ahead of his release on Titan Records. Big up to The Risky for supporting up and coming artist / labels and showcasing the future sounds of the scene, maximum respect! Yes I realize that you need to throw in a sample on unreleased tracks to prevent ripping, however, needing to talk over your entire set is very annoying. At least say something different each time. I&apos;m well aware I&apos;m listening to the drum and bass podcast. might as well not have uploaded anything because I can&apos;t hear the music. all I hear is this MC. sounds like you didn&apos;t listen up to Dub Motion&apos;s mix at the end!